KUWAIT- 5 January 2019: Abdulmohsen Abdulaziz Al Babtain Co. (AABC), the authorized dealer for Infiniti vehicles in the State of Kuwait is proud to announce the achievement by its Infiniti Service team members. They were honored with two coveted awards during recent Annual Infiniti Aftersales conference held in Dubai. Demonstrating highest standards of Customer Excellence to guarantee exceptional service rendered throughout the year to our valued customers. The award was aimed at Highest Quality of service activities which improved in the Customer satisfaction and Increased Retention rate of customers during FY18. Infiniti Al Babtain Service team received ‘Best Customer Quality Award FY18’ and the ‘Best Customer Retention Award FY18’ for their commitment and hard work towards delivering premium Aftersales care to customers. Infiniti Service achieved highest customer retention in the GCC region. 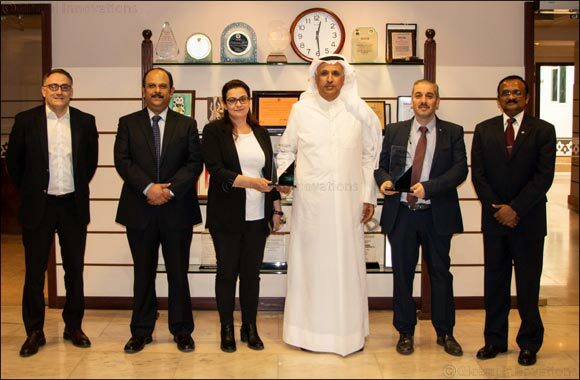 The winners were congratulated by Al-Babtain CEO - Saleh Al-Babtain, Laurent Pernet, General Manager Automotive at Abdulmohsen Abdulaziz Al Babtain and Chief Human Resources Officer, Abdulmohsen Abdulaziz Al-Babtain. Al Babtain lives by its dynamic motto – which is to ensure the best experience possible through passion and innovation in everything they do. Each year, the home grown brand supports evolving market needs and demands by empowering its employees with modern, international best practises and up-to-date training exercises to maintain overall Customer satisfaction.